Syndromes in medicine are often named after the physician or group of physicians that discovered them or initially provided the full clinical picture or the best description of the syndrome. However, many of the rare syndromes have been described by physicians in many areas of the world before the era of the internet which has been associated with easy access to clinical reports throughout the world. Unfortunately, some syndromes have been attributed unfairly and inappropriately to physicians other that those first described them. 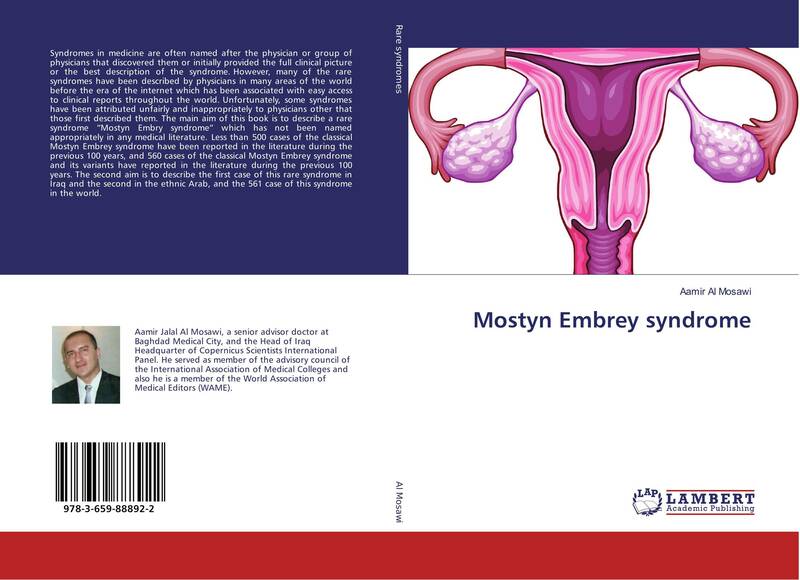 The main aim of this book is to describe a rare syndrome “Mostyn Embry syndrome” which has not been named appropriately in any medical literature. Less than 500 cases of the classical Mostyn Embrey syndrome have been reported in the literature during the previous 100 years, and 560 cases of the classical Mostyn Embrey syndrome and its variants have reported in the literature during the previous 100 years. The second aim is to describe the first case of this rare syndrome in Iraq and the second in the ethnic Arab, and the 561 case of this syndrome in the world.